For some years now, a popular question in Technology quizzes has been about the inspiration behind Google Earth being a piece of software called “Earth” from Neil Stephenson's Sci-Fi novel Snow Crash. Turns out, describing a software like Google Earth isn't Snow Crash's biggest futuristic prediction. Stephenson's book is more deeply researched than that. 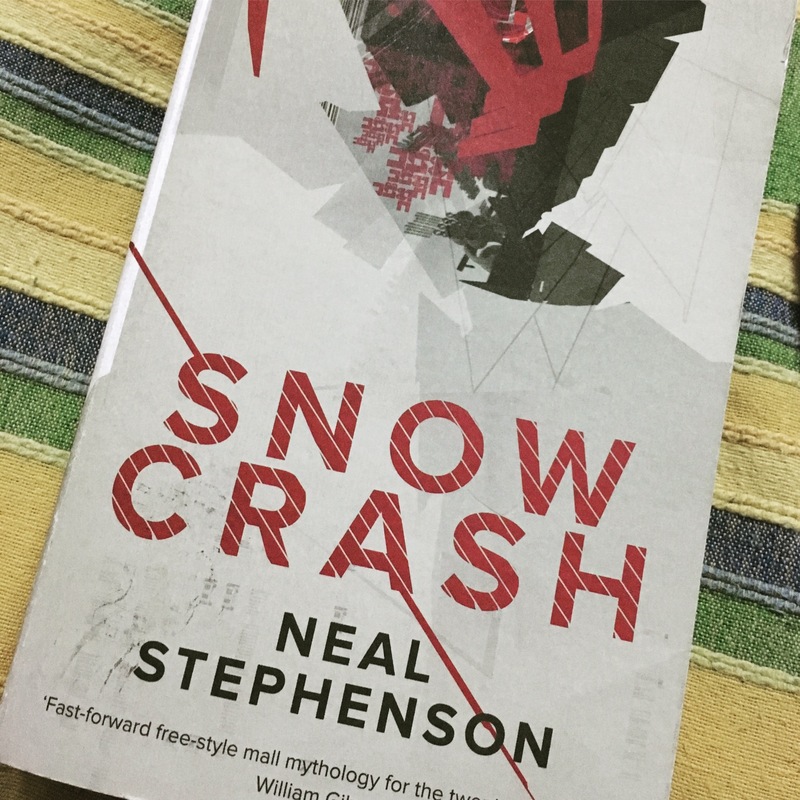 Back in the 1980s Neil Stephenson wanted to create Snow Crash as a computer generated graphic novel and got deeply involved in scientific research going on at the time in the field of computers and religious symbolism. In a conversation with a Jaime Taffe, Stephenson first came across the idea of a “Virtual Reality System”. Because Stephenson was spending so much time in Mac software development, he decided to design his fictional VR System called “Metaverse” using Apple's Human Interface Guidelines, following the design philosophies mentioned to lay the foundation for the most important part of Snow Crash. The Metaverse Virtual Reality System. Metaverse is what inspired the creators of Oculus Rift to make their VR Headset. Given Snow Crash's rich technological heritage, I decided to read this book, sometime back. Like one would aspect, Snow Crash is set in a time where the next big thing after the internet is a VR System called “Metaverse”, a digital universe where users can log onto to interact with people and share information and knowledge. Metaverse has the stream of advantages that any digital universe would have. Following the plot of a certain “Hiro Protagonist”, Snow Crash explores the themes of the Mafia, religious symbolism, Sumerian Mythology and a modern day info-calypse. It's a gripping story, one that draws you into the novel from the beginning. Snow Crash works because it's always got some or the other surprise up it's sleeve. Moreover its fascinating to see the futuristic gadgetry from the late 1980s that eventually turned into products in early 2000s. The central characters are quick-witted and every character is highly competent in what they do, resulting in scenarios where some or the other is always thinking two steps ahead of their opponent, making for a highly engaging read. Stephenson even manages to slip in humorous moments, which is good, as this book is always at a risk of being too heavy with all the different genre it's trying to merge, the humor helps maintain a lighter environment. But where Snow Crash falters is the parts in which Hiro goes on an exploration trip about Sumerian Mythology! It's boring and takes up a good chunk of the book. I wish there was a little more focus on Uncle Enzo's Mafia or Juanita's character, both of them, while important, seem to be ignored for a large part of the book.